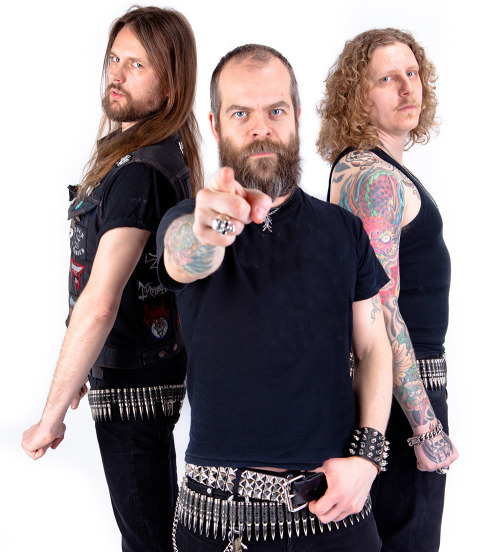 The Swedish power trio return with their newest collection of anthemic Viking anthems, Sword Songs. After their last release Triumph and Power, Grand Magus have done more than enough to get me listening. As that’s when I was first introduced to them. I have obviously gone back over their discography since then and it’s fair to say that they’re one of my favourites when it come to this music. The album opens with the roaring “Freja’s Choice” and the expert instrumentation at takes over your senses. The pure intensity doesn’t let go until the final moment of the album. Janne “JB” Christoffersson’s energy is awesome and every lyric is clear. Everything on this album sound huge. This is standard for Grand Magus but their ability to make everything sound epic is outstanding, if not second nature to them at this point. Sword Songs is a barrage of non stop anthems. One of the bigger one being the lead in single “Varangian”, which is so damn catchy you’ll be humming it for hours after you’ve heard it. This is a testament to the super tight production of the album. Every moment has impact and weight and the album is filled to the brim with imagination and poetry. It’s definitely an album that rewards repeat listens. I know once I was done with the first play through I wanted it one again. The tight musicianship, the excellent riffs, the thundering bass and beat and the anthemic choruses. It all comes together here and it just hits you like a tonne of bricks. All of the songs are brilliant but a few personal favourites “Forged in Iron – Crowned in Steel”, “Frost and Fire” and “Stormbringer”. These songs have grabbed my imagination and really keeps pumped. The Viking themes are grounded and interesting. Although this sub-sub-genre is starting to develop very obvious clichés it doesn’t stop it from being very entertaining. 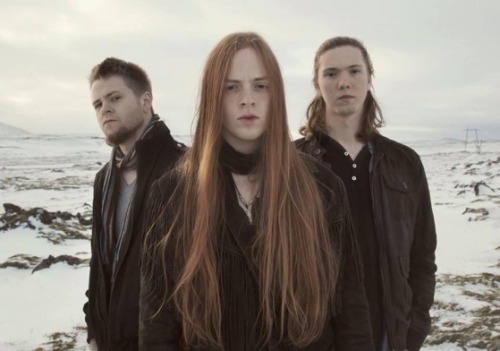 The references to battle and Norse mythology always sound fresh and original coming from Grand Magus (as well as bands like Leaves’ Eyes and Amon Amarth). There’s just such a feeling of command and power in these songs, they’re simply too fun to not enjoy. I love this record. Grand Magus have pulled off another great record and I know this one was short but I don’t have anything bad to say and the music really speaks for itself. This one get’s a firm recommendation from me. 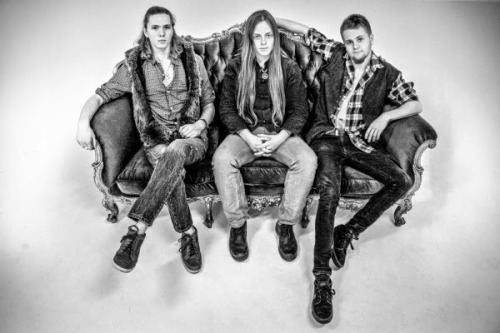 Young psych rockers The Vintage Caravan have begun streaming their new album Voyage at this location. The album will be released this coming Monday (13th January 2014) via Nuclear Blast. We are so incredibly excited to finally be touring the UK with a great band like Grand Magus, meeting British people, drinking British ales. This is going to be one hell of a trip! There has been a huge resurgence of ‘retro rock’ over the last few years, but these boys have explored a path that no one else has found yet. Youth is on their side, they have drawn musical influences from the greats of our generation and added to them their acid laced, trippy lyrics, relatable to the silly side that’s hopefully still in all of us. If not, these guys will certainly help you find it! 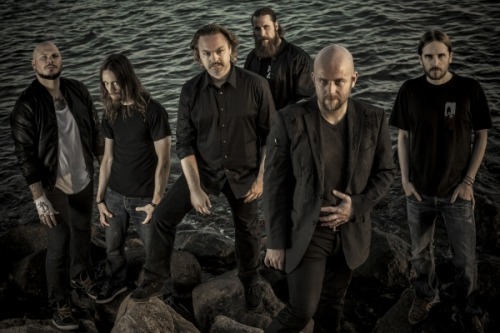 After their sold-out show at The Camden Underworld in London, which was their first UK date in four years, Swedish metal tyrants Soilwork have announced a four-date UK tour for March in 2014. Their support for these dates will be Darkane and System Divide. Soilwork have also been confirmed for Hammerfest 2014 with the likes of Grand Magus, Overkill and Kreator. The time has come! Warriors! Things have been quiet around here recently, you know us well enough to know that we haven’t been sitting around idly though… We have finished writing our new album and we enter the studio!!! Monday the 2 of September marks the start of our new journey. The result will be something to behold. That is a promise. You want something heavy? You’ll get it. This will be our strongest album to date. The Magus have been busy bees with an elaborate pre-production phase, meaning that we have demoed all the tracks and it certainly pays off now. The recordings proper started off this Monday and we already have some killer basic tracks brewing. We are working simultaneously on several tracks to ensure flow and proper impact. It feels like it’s going to be something extremely powerful this time… The drums are killer and with the perfect touch we’ve learned to expect from Ludwig, there will be a wall of ferocious guitars and grinding bass guitar that will shake the bowels. Among other things we worked today on Holmgång which has a lot of riffing going on and we think the guitar sound is the best we’ve ever had on a recording. Pure power!